PetroLuxus™ - V | Ascension Technologies, Inc. The PetroLuxus™ Technology Platform is the core technology exclusively licensed by Ascension Technologies, Inc. for the Oil and Gas Industry. PetroLuxus™ products for the Oil & Gas Industry utilize technology to interrupt the bonding of hydrocarbons in oil formations and in soil. The products have unique characteristics that are based on its inherent abilities to interrupt weak hydrogen bonding, increase surface wettability, reduce surface tension, reduce corrosion, and protect metal surfaces. PetroLuxus™ formulations readily seek to disrupt weak hydrogen bonding that is associated with crude oil trapped in the formation pores. The natural tendency is for PetroLuxus™ solutions to penetrate into the pore space, break the weak hydrogen bonding and surface tension that traps the oil, and then physically displaces the oil from the space. Once the mineral surface is exposed to PetroLuxus™, the surface is much less attractive to oil which allows the oil to move. Additionally, PetroLuxus™ increases water wetting of surfaces, surface tension reduction, viscosity reduction, flow resistance reduction, and provides corrosion inhibition to reduce scale formation by imparting a glass-like silica film to metal components. PetroLuxus™ products are formulated from naturally occurring compounds and are environmentally friendly, safe to apply, cost effective, non-flammable and non-hazardous. The products are designed to be biodegradable and will dissipate into the environment in a non-toxic state, thus presenting no ongoing hazard. PetroLuxus™ is trade name for a family of proprietary compounds distributed by Ascension technologies, Inc (the “Company”). PetroLuxus™ utilizes femto-scale technology to interact with the bonding of metals and hydrocarbons from a wide variety of materials found in most man made and naturally occurring environments including soil and water. The unique characteristics of these products are based on their ability to affect ionic exchanges between materials, scavenge oxygen, increase wetting and reduce interfacial surface tension. The base formulations of PetroLuxus™ can be used in many applications requiring the separation of hydrocarbons from other materials by interacting with the adsorption(1) properties of the different materials. The PetroLuxus™ family of products are water-soluble and rapidly disperse when introduced to water or oil to make contact with the target materials, hydrocarbons or metals, while initiating an ionic exchange that disrupts and effects the bonding between the targeted undesirable materials and the surrounding materials. The products are chemically active and readily bondable to target metals while acting as a coagulant and flocculent to allow precipitation of the metals for separation and removal. At the microscopic level PetroLuxus™ forms bonds with the targeted materials and creates a crystalline structure on their surface. In specific situations this “encapsulation” can render the materials undetectable and inert. There are a number of PetroLuxus™ products to-date, that have been developed in distinct formulations, each of which has a unique profile and can be used selectively to achieve reduction of a variety of undesirable materials and metals entrained in soil and water. Each formulation has specific characteristics related to oxidation-reduction potential and conductivity that is focused to effectively reduce certain metal concentrations and to liberate hydrocarbon contamination with significant, proven efficiency for recovery of both desirable and undesirable targeted materials and thus reducing disposal issues. The PetroLuxus™ products have been formulated to separate specific targeted materials, allowing for both the removal and reclamation of targeted materials and increasing the potential for beneficial reuse of valuable captured resources. PetroLuxus™ products are formulated from naturally occurring compounds including oxygen, silicon and a number of different caustics and are environmentally friendly, safe to apply, cost effective, non-flammable and non-hazardous and have previously carried a NSF/60 certification for safe in drinking water. The products are designed to be biodegradable and will dissipate into the environment in a non-toxic state, thus presenting no ongoing hazard. (1) Adsorption: is the accumulation of atoms or molecules on the surface of a material. This process creates a film of the absorbate (the molecules or atoms being accumulated) on the absorbent’s surface. It is different from absorption, in which a substance diffuses into a liquid or solid to form a solution. The term sorption encompasses both processes, while desorption is the reverse process. PetroLuxus™ WC is a multi-modal liquid compound formulated to be injected downhole into oil bearing formations for the increased recovery of hydrocarbons, reduced hydrogen sulfide concentrations and improved flow characteristics. These combined attributes result in increased performance of operational equipment with less down time. The unique multi-modal characteristics of PetroLuxus™ WC interacts with the attached hydrocarbons on formation surfaces by destabilizing the weak hydrogen bonding which causes the hydrocarbons to be released from the oil-bearing formation. This results in an increased surface water wetting and reduction of surface tension allowing the oil to be recovered with higher efficiency. Additionally, equipment metal surfaces and formation surfaces contacted by PetroLuxus™ WC are coated with a polymeric barrier thereby protecting metal surfaces that reduces corrosion and increases the conductivity of mineral surfaces. PetroLuxus™ WC is specifically designed for use in cleaning the production zone around the well bore and the associated production string of tubulars and equipment. Over time this area becomes fouled with rust, paraffin, calcite, asphaltenes and other materials that can reduce flow and production. PetroLuxus™ WC works to clean the entire production area from filter area in the production zone to the storage tanks. When introduced into the well bore and then circulated through the system, the product will come in contact with all of the components and free the buildup that is causing restriction. Further, PetroLuxus™ WC has an affinity for metals and leaves a thin, microscopic layer of protection to reduce the propensity for future accumulation. PetroLuxus™ HC is specifically designed for applications in above ground applications. Applications such as the enhancement of Heavy Crude Oils prior to entering the refining process, oil spills, storage tank bottom remediation, oil sands, etc. When introduced into Crude Oils, PetroLuxus™ HC can dramatically improve the flow characteristics of the oil, shed entrained water, paraffin’s, heavy metals, particulate matter, reduce acidity and reduce sulfur thus reducing overall pumping costs while enhancing the grade of crude oil. The introduction of the product into oil further reduces the environmental impact by allowing for the collection and disposal of the undesirable contaminants. The introduction of PetroLuxus™ HC into Crude Oils results in rapid dispersement that eliminates the interfacial surface tension of the Crude Oils and other materials such as water, metals, dirt, sediments and other contaminants. The process works rapidly, usually within several hours, to effectively separate the components, resulting in a stratification of materials by specific gravity. The stratification of components provides a cleaner product for refining. PetroLuxus™ H2S Scavenger is a multi-modal liquid compound formulated to eliminate harmful hydrogen sulfide thereby reducing or stopping metal corrosion and mitigating personnel safety issues. PetroLuxus™ H2S Scavenger causes a reaction with the hydrogen sulfide converting it from a gas to a slightly water soluble harmless compound, sodium sulfide, that can no longer participate in corrosive reactions. It has a “time release” mechanism that provides a consistent concentration of the active species of the compound allowing more time between treatments. In addition to eliminating H2S, the compound provides a protective barrier on the surface of metals thus preventing corrosive compounds from coming into direct contact with exposed metal. The total effects upon the operation are lower maintenance, reduced downtime and operational cost. PetroLuxus™ WC (Well Clean) was an NSF/ANSI 60 certified liquid well cleaning solution and will regain that status soon and is for the use in new and existing groundwater wells to improve water production of bio-fouled wells, water clarity and mitigate microbial growth on well screens. PetroLuxus™ WC injected down hole on new and existing wells coats metal and mineral surfaces with a molecular barrier that reduces corrosion and deters bacterial growth. PetroLuxus™ WC also reduces the unpleasant odor caused by high levels of sulfur compounds found in some wells. Yes, PetroLuxus™ WC is an inorganic compound and thus contains no organic compounds, toxic metals, or their salts. The environmental fate of PetroLuxus™ WC is silica, the same material as found in beach sand. The chemistries of PetroLuxus™ WC pose no threat of persistence in the environment, no bio-accumulation, nor toxicity when used at the recommended concentrations. How is PetroLuxus™ WC designed to perform? Is PetroLuxus™ WC a biocide? Environmentally-friendly PetroLuxus™ WC works on the mechanism of destabilizing the homeostasis – The ability or tendency of an organism or a cell to maintain internal equilibrium by adjusting its physiological processes. PetroLuxus™ WC chemistry disrupts the bacteria’s ability thrive through a “coating” mechanism with coats the bacteria and/or the food source for the bacteria. This mechanism does not allow the bacteria to survive or thrive. What oil production increases can I expect from an PetroLuxus™ WC treatment? PetroLuxus™ WC treated water wells have realized water production increases ranging from 50 – 300% or more. More importantly the treated wells have maintained the production increases since treatment. How does PetroLuxus™ WC work in down hole environments? Many variables exist in oil formations, including, mineral composition, temperature, pressure, oil type and quality, water type, and the presence of many compounds that affect the ability to produce oil. PetroLuxus™ is designed to work within a wide array of variables encountered in oil formations. Its basic functions are to release oil, enhance flow characteristics, reduce corrosion, disperse paraffin and asphaltene, and provide protection to metal production components. PetroLuxus™ performs these functions in most environments and formation types. Where can PetroLuxus™ WC be applied? 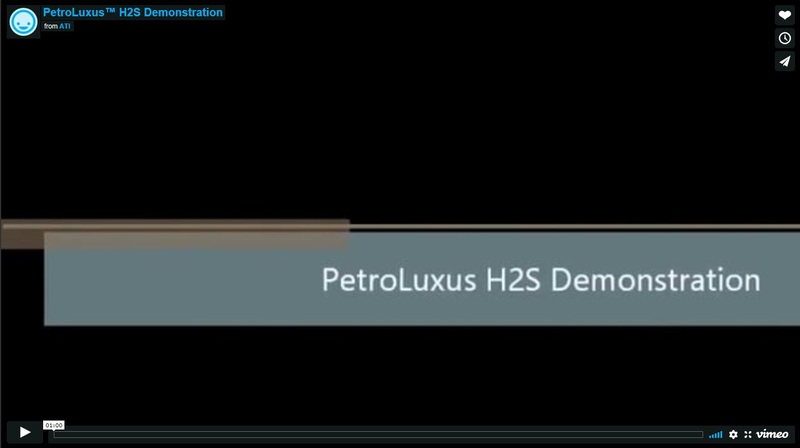 PetroLuxus™ WC can be applied to hydrocarbons on the mixed with soil, down-hole in oil and gas wells, used to mitigate H2S and in both potable and non-potable water systems. These include municipal water wells, irrigation water wells, piping systems, storage tanks, etc. How do I get more information on PetroLuxus™? How is Ascension's PetroLuxus™ Sold? 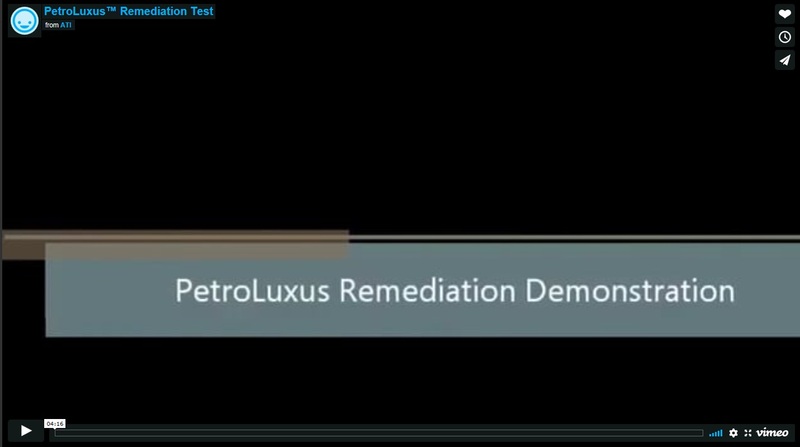 Clip on any DownLoad button to receive additional information on PetroLuxus™ products.